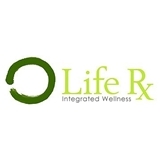 LifeRx Global Medicine (New York) - Book Appointment Online! This is my philosophy Dumisani Kambi-Shamba earned his MS in Oriental Medicine from Pacific College of Oriental Medicine, NYC. He specializes in many styles of acupuncture as well teaching as adjunct professor at several colleges. Dumisani recognized the necessity for a more comprehensive approach, at which point he furthered his education in clinical nutrition, homeopathy and Ayurveda, grounding his practice in diagnostics that range from sport injuries, trauma, pain management, chronic disease, fertility and oncology support. He has since successfully integrated this unique blend of specialized Chinese medicine and functional global medicine into his private practice. I felt it was thorough, asked a lot of question and was not in a rush. Outstanding acupuncturist and human! Dr. Flora is caring and attentive. She is a naturally gifted healer. I have only seen her twice and am already noticing huge improvements in my health. Will be continuing to see her on a regular basis. Cannot recommend her enough!